In “Body-Hegemonies 2017: An Experimental Transfer”, we are concerned with understanding and making transparent the themes of epistemic violence and hegemonic orders, that have resulted from the legacy of colonialism and slavery, as the hidden, ambivalent, broken flipside of modernity and enlightenment. Our aim is to examine the Eurocentric logic of dehumanisation and processes of exclusion from the perspective of bodies and their embeddedness in these hegemonic structures. We ask ourselves the following preliminary questions: “What are the bodily traces of the history of modernity”? “How is history and memory inscribed in which bodies or body structures”? “What were/are some of the possible strategies of negation for these historically inscribed bodies (or body parts – human remains) in the past and the present”? To explore these questions, we have conceived a one week laboratory in which 5 (6) artists and (social)scientists within the premises of Cologne University will hold skype conversations with international experts over three forenoons (9:00-12:00) on the topic of body discourses and the historic and contemporary institutions and disciplining mechanisms that impact on bodies. Resulting from these conversations the Cologne participants will first present individual performative responses to the group which will then be worked into a “performative score” to be presented to the public on the last two days of the laboratory. 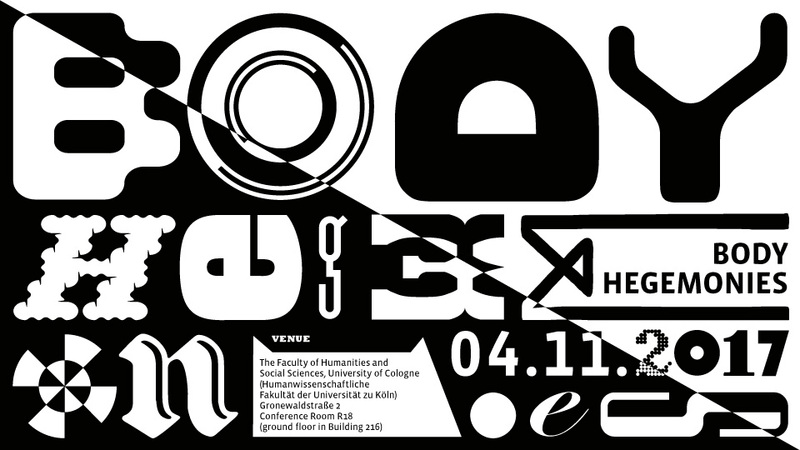 The opening of the laboratory to a public viewing will be flanked by a mini-symposium on the topic of body-hegemonies which will provide the expanded discursive field within which to locate and understand the artistic explorations. The final goal is an international performative conference in 2018 at the University of Cologne: “Epistemic Violence – Colonial Aphasia: Challenges of Decolonising the University” (Working title).